A small crowd arrived at the dedication where Cahaba Blueway Coordinator Brian Rushing explained the Cahaba Blueway mission. The University of Alabama Center for Economic Development and its partners at the Cahaba Riverkeeper, Cahaba River Society, The Nature Conservancy of Alabama, the Freshwater Land Trust are overseeing the project. Over the past few years, The University of Alabama Center for Economic Development (UACED) has been improving access points along the Cahaba River as part of their Cahaba Blueway initiative. The University of Alabama Center for Economic Development, or UACED, along with its program partners at the Cahaba River Society, The Nature Conservancy of Alabama, the Freshwater Land Trust, and the Cahaba Riverkeeper, announce the official start of the Cahaba Blueway, a 200 mile-long “water trail” through the heart of Alabama. The University of Alabama Center for Economic Development (UACED) and its partner organizations announce the kick-off of the 2019 season of the 100 Alabama Miles Challenge on March 2, 2019. The University of Alabama Center for Economic Development is in the middle of its 14th Books for the Alabama Black Belt drive. Cahaba Medical Care worked close with the University of Alabama Center for Economic Development during this process. Director of Economic Development Initiatives for UACED, Brian Rushing, said Centreville has needed access to the Cahaba River for some time. The development team was led by the University of Alabama’s Center for Economic Development (UACED). Major responsibilities included defining the overarching goals for the Enhancement Project, assembling the delivery team, and managing that team to an on-time and in-budget delivery. 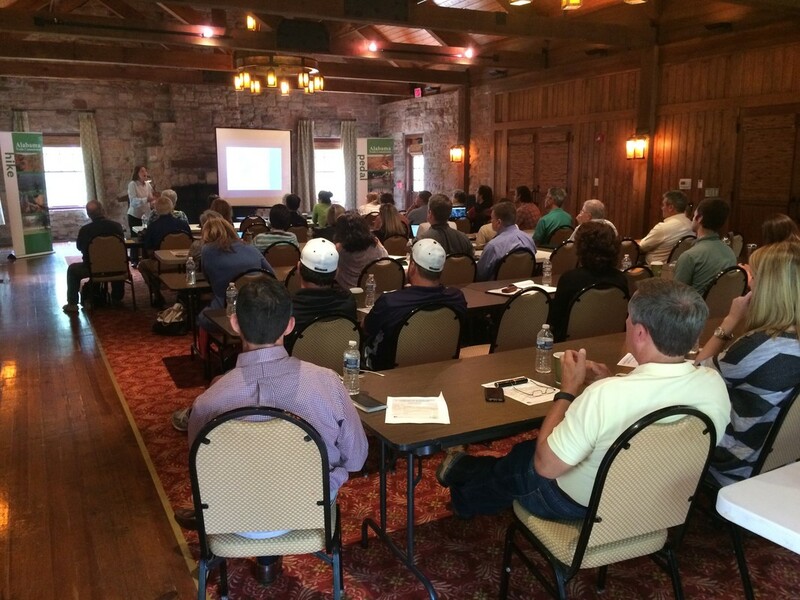 UACED represented the project’s owners, the Alabama Department of Conservation and Natural Resources. The University of Alabama Center for Economic Development (UACED), The University of Alabama School of Library and Information Studies and the Alabama Cooperative Extension System (ACES) are joining forces for their Bicentennial Bookshelf program. Statewide, the program is a partnership between The University of Alabama Center for Economic Development, Alabama Trails Commission, Blue Cross and Blue Shield of Alabama, Lakeshore Foundation, Alabama Beverage Association, Jefferson County Department of Health, Governor’s Commission on Physical Fitness and Sports, AARP, Alabama Obesity Task Force, Alabama Department of Public Health and Alabama State Parks. The University of Alabama's Center for Economic Development (CED) is set to formally launch a project this year called the Cahaba Blueway to increase public access to the river. The CED has identified 30 potential canoe or kayak launch points along the river to create a trail, with access points every eight to 10 miles. The challenge is a free public program, designed to encourage all Alabamians to walk, run, hike, bike, swim, paddle, ride or roll 100 miles each year, and to enjoy visiting Alabama’s state parks, nature preserves and rivers, according to Brian Rushing, the University of Alabama Center for Economic Development’s project facilitator. Geneva, Alabama earned the designation of an “Alabama Community of Excellence” Saturday, May 19, 2018 at the Opening Session of the Alabama League of Municipalities Annual Convention, held in Montgomery, AL. Wind Creek State Park has partnered with the 100 Alabama Miles Challenge to help get Alabamians out and moving. The 100 Alabama Miles Challenge is being spearheaded by the University of Alabama Center for Economic Development (UACED) with support from numerous organizations, including the Alabama Trails Commission, Blue Cross & Blue Shield of Alabama, Lakeshore Foundation, the Alabama Beverage Association, AARP, Jefferson County Department of Health, Alabama Department of Public Health, the Governor’s Commission on Physical Fitness and Sports, and the Alabama Obesity Task Force. This new program -- developed by several public and private organizations -- asks participants to log two miles each week while visiting Alabama parks, rivers, trails and nature preserves. That way, they can experience the beauty of the state, boost their fitness and reach a milestone of 100 miles over the course of a year. A new statewide public program presented by the University of Alabama Center for Economic Development and other partnering organizations, the challenge officially starts Saturday with kick-off events planned around the state. A new statewide economic development initiative is encouraging Alabamians to make use of the numerous parks, nature preserves and rivers in the state, and get fit in the process. ​The 100 Alabama Miles Challenge is presented by the University of Alabama Center for Economic Development (UACED) along with other partnering organizations. With assistance from the Alabama Communities of Excellence program, much of Foley’s current momentum began in the years leading up to the city’s centennial celebration in 2015. 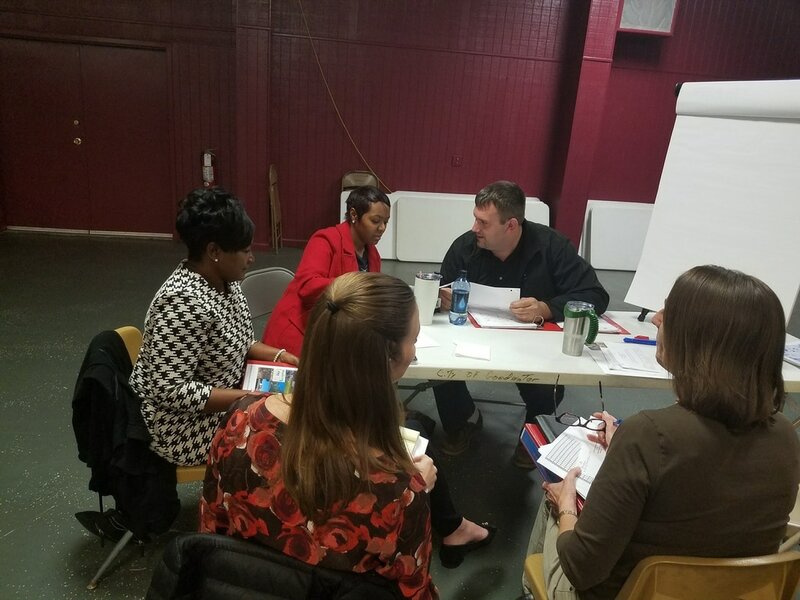 ACE worked with Foley officials to help identify the city’s strengths and weaknesses, and develop a comprehensive plan designed to spur economic development and community enhancement. Through the ACE program, we have been able to develop a strong, five-year strategic plan along with a long-range comprehensive plan, as well as an active adult-leadership class. The University of Alabama Center for Economic Development, along with the Alabama Cooperative Extension System, is promoting the National Education Association’s Read Across America Day by providing Dr. Seuss-themed reading kits to 23 schools in eight counties within the Black Belt region. The project, managed by the UA Center for Economic Development, is gathering books for underprivileged children and communities within the Black Belt, a region of 13, typically poorer, Alabama counties. Throughout the month of February, those involved with the project will gather books to further the initiative. The campaign, organized by the University of Alabama Center for Economic Development, seeks donations of new or gently used classic and award-winning books for K-12 children. This is the first Birding Trail location in Homewood and will be part of the Appalachian Highlands region. The trail is a partnership with the Alabama Department of Conservation and Natural Resources, University of Alabama Center for Economic Development and Birmingham Audubon Society. Walker County Lake, which is part of the West Alabama Birding Trail, is home to a nesting pair of eagles for part of the year. So, under the guidance of ACE, the city embarked on a $5 million downtown enhancement project. 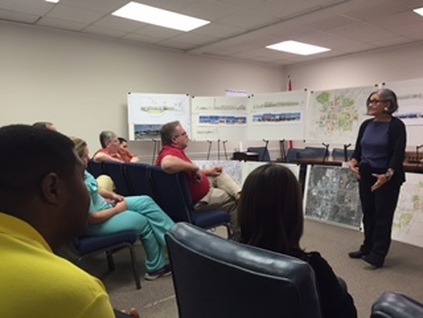 It was the first of many steps that Guntersville has taken to strengthen its long-term economic prospects through leadership development and strategic planning, using lessons learned from the ACE program. Joe Watts, a consultant with the University of Alabama Center for Economic Development, said the state’s system of trails was completed in 2013 and offers birders a variety of habitats and opportunities for seeing unique species throughout the year. The ACE Partner organizations providing funding in 2017 include: Alabama Department of Commerce; Alabama Department of Economic and Community Affairs; Alabama League of Municipalities; Alabama Mountain Lakes Tourist Association, Alabama Municipal Electric Authority; Alabama Power Company; Alabama Small Business Development Center Network; Auburn University – Government and Economic Development Institute; Goodwyn, Mills and Cawood, Inc.; PowerSouth Energy Cooperative; Regions Bank; Southeast Gas; The University of Alabama Center for Economic Development and The University of West Alabama. ACE also is receiving grant funding from the Appalachian Regional Commission. Working with ACE are Alabama Power, the Alabama Department of Commerce, Regions Bank, the Alabama Small Business Development Network, the Alabama League of Municipalities, Alabama Mountain Lakes Tourist Association, Alabama Department of Economic and Community Affairs, Alabama Historical Commission, Alabama Municipal Electric Authority, Auburn University Government and Economic Development Institute, the University of Alabama Center for Economic Development, the University of West Alabama, the U.S. Department of Agriculture-Rural Development, Southeast Alabama Gas District, PowerSouth Energy Cooperative and Goodwyn, Mills and Cawood Inc. The Piedmont Plateau Birding Trail, which is part of the Alabama Birding Trails system and includes several sites throughout the lake area, also will be highlighted in the Smith Mountain signage project now under way. The University of Alabama Center for Economic Development, along with the Alabama Cooperative Extension System, promoted the National Education Association's Read Across America Day by providing Dr. Seuss-themed reading kits to 21 schools in seven counties in the Black Belt region. 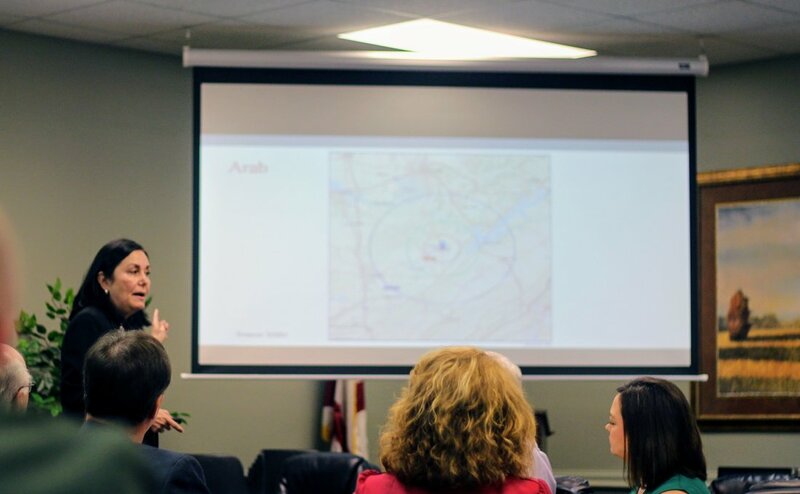 Thanks to a recent collaborative effort between the University of Alabama’s Center for Economic Development, the Appalachian Regional Commission and multiple economic development entities within the region, tourism is quickly becoming big business for seven west Alabama counties. The University of Alabama Center for Economic Development, along with the Alabama Cooperative Extension System, is promoting the National Education Association’s Read Across America Day by providing Dr. Seuss-themed reading kits to 21 schools in seven counties in the Black Belt region. Several organizations — including the Cahaba River Society, the Nature Conservancy, the Freshwater Land Trust and The University of Alabama Center for Economic Development (UACED) — are seeking to change this and turn the river into a legitimate tourism attraction through the creation of the Cahaba Blueway. The campaign offers an opportunity for students and area residents to donate new or gently used classic and award-winning books frequently found on school reading lists for K-12 children. "It's a very low-population-based county" of 12,000 people, said Nisa Miranda, director of UA's Center for Economic Development, which has partnered with Auburn University to come up with a plan for the county at the behest of Rep. Gary Palmer, R-Hoover. Coosa is "very naturally beautiful, with creeks, rivers bounding it and creeks running through it," Miranda said. The panel highlights the park as a major area within the Piedmont Plateau Birding Trail and the Alabama Birding Trails systems. A new sign was erected on Tuesday that highlights the Piedmont Plateau birding trail at Confederate Memorial Park in Chilton County. The Alabama Birding Trails (http://alabamabirdingtrails.com/) and the Environmental Educators Association of Alabama (EEAA) are teaming up together with a new and exciting project to bring the classroom to the outdoors! 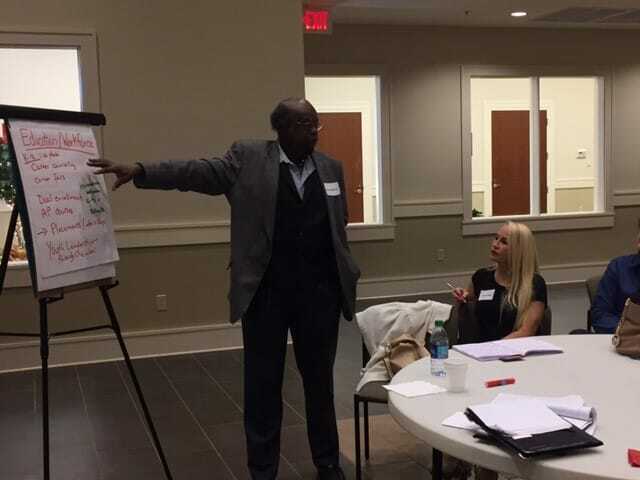 Chilton County could be primed for economic development, and local leaders spent time Wednesday learning about the topic. 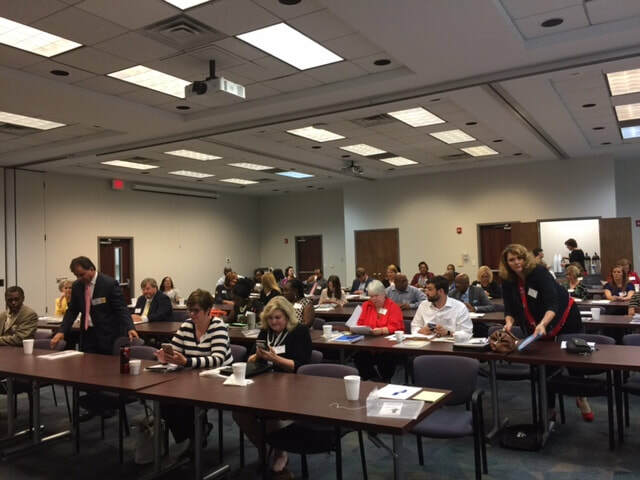 An economic development workshop titled “How Communities Compete for Industry” was held at the Alabama Power Conference Center. Guest speakers incuded Ephraim Stockdale and Patrick Murphy from Alabama Power, Ted Clem from the Alabama Department of Commerce, Connie Bainbridge from Central Alabama Electric Cooperative and Nisa Miranda from the University of Alabama. The University of Alabama Center for Economic Development is a spearhead for outdoor trails development — an often-untapped potential for Alabama’s rural communities. 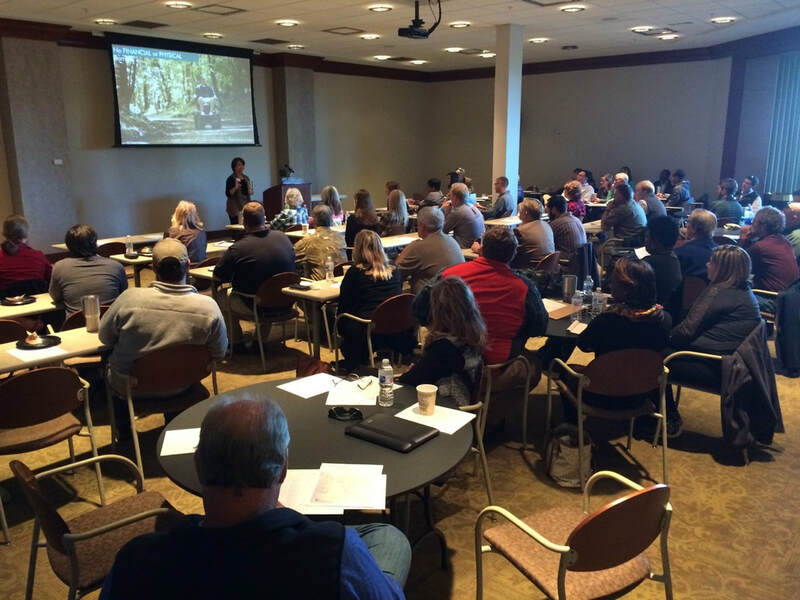 ​Alabama tourism promoters were quick to master the development of the trails package. It began big with golf but rolls on to include brisket, birds and the biggest tour track of rivers in the country. Chartered by the Board of Trustees of The University of Alabama System in 1989, The University of Alabama Center for Economic Development (UACED), directed by Nisa Miranda, serves as a coordinating business outreach unit for the resources and expertise of existing centers, bureaus, and institutes on economic development.​ Through the utilization of professional staff and customized project teams, UACED assists communities, agencies and organizations to take an “asset based” planning approach to economic development opportunities.